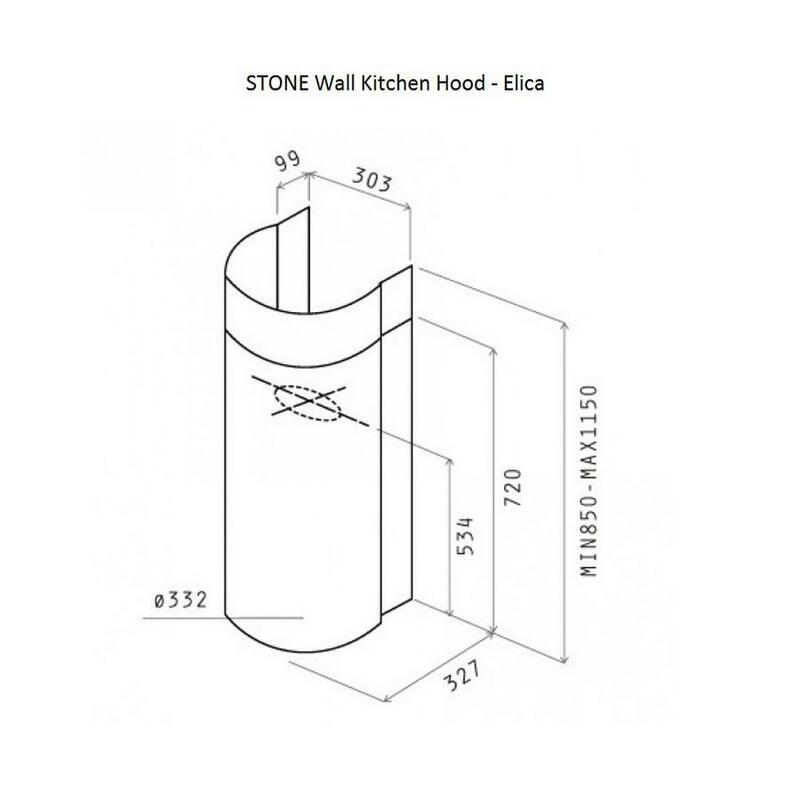 Stone wall kitchen hood by Elica is an innovative and minimal stainless steel hood with simple design and high functionality. 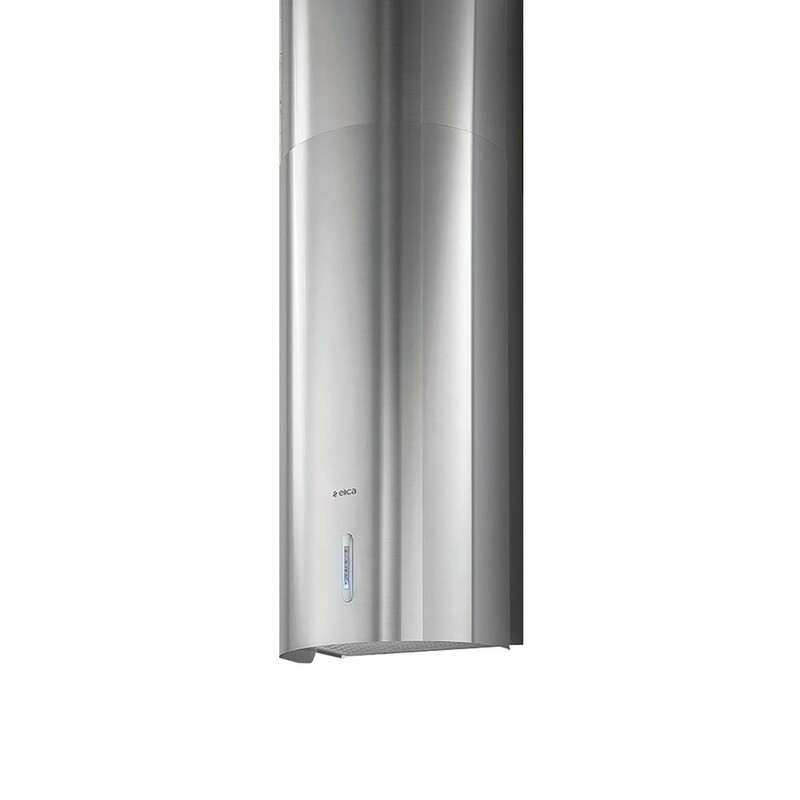 Stone is an air recycling kitchen hood made of exclusive high quality material finished in stainless steel. 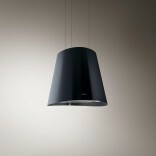 This wall kitchen hood features Soft light 3V push button operation and halo lighting source (Halogen 2x20W lighting). Stone kitchen hood has one 215W high performance motor with an output diameter of 120-150 mm. 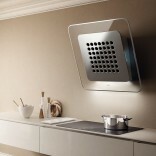 This wall kitchen hood provides maximum suction at 650 m3/h and it works quietly with noise level from 45 to 65 db(A). Stone includes GFI fat filter. 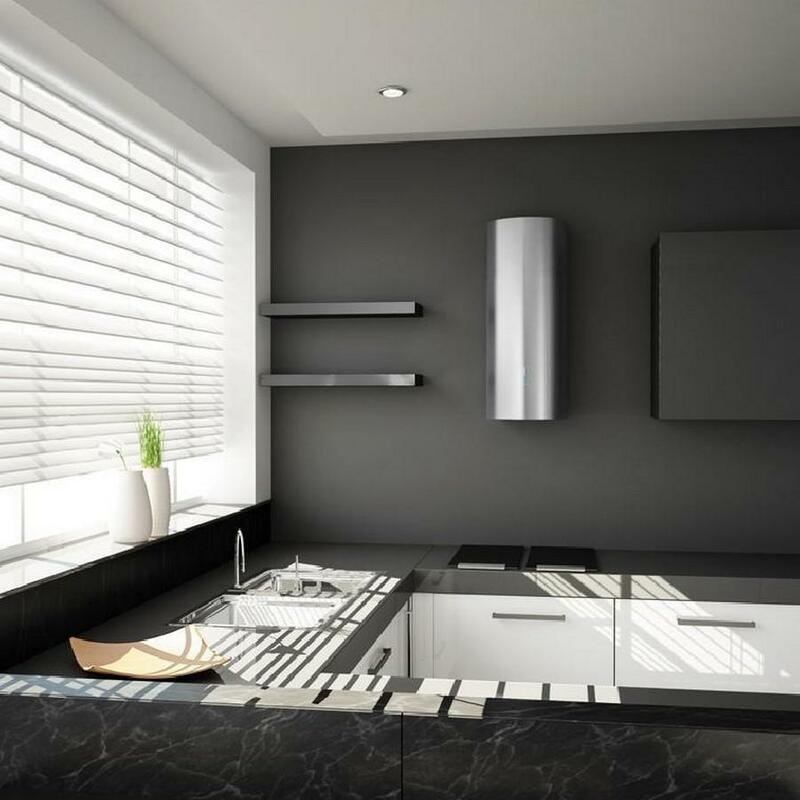 You can also have an optional carbon filter or an optional long life carbon filter. 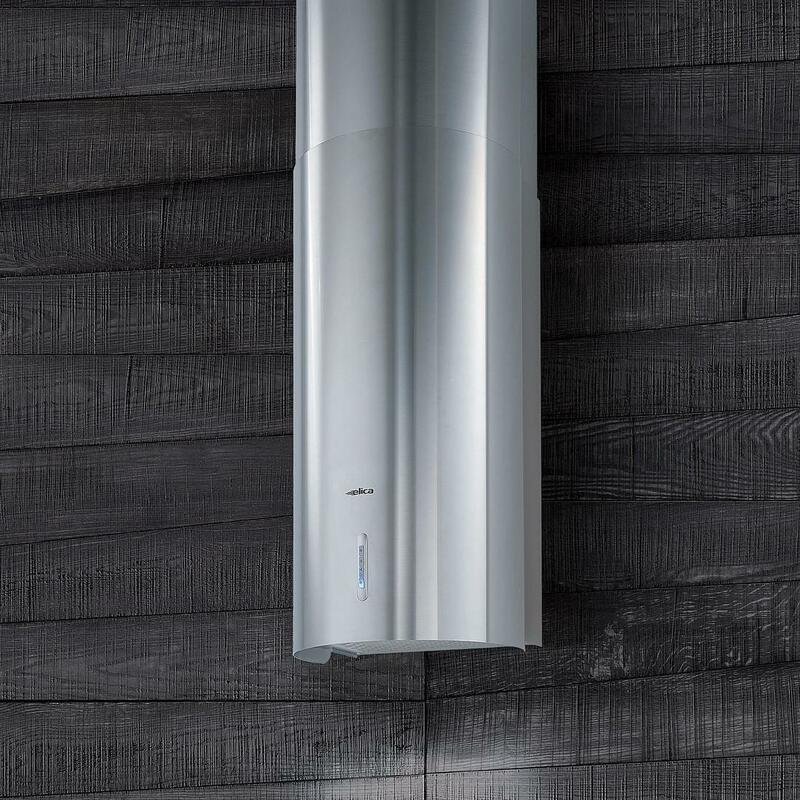 The carbon filter recycles and clears the air before releasing it straight into the room or to a chimney through a flue kit. Place the kitchen hood at a distance ≥ 50 cm above an electric kitchen and ≥ 65 cm above a gas kitchen. Dimensions: Diameter: 33 cm. Height: min 85 - max 115 cm. 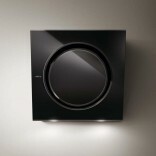 Control: Soft Light Push Button 3V. Lighting: Halogen 2 x 20 W.
Carbon Filter for air recycling (optional). Long life carbon filter for air recycling (optional).